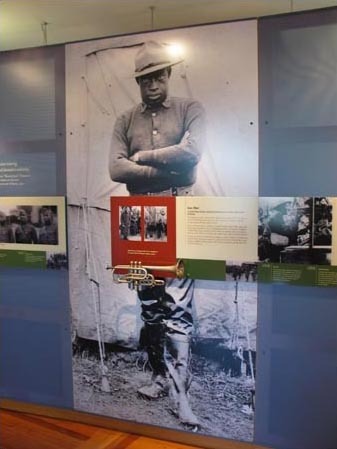 The Fort Des Moines Museum & Education Center was built to honor the first officer class of African-American men of 1917 and the establishment of the Women’s Army Auxiliary Corps. 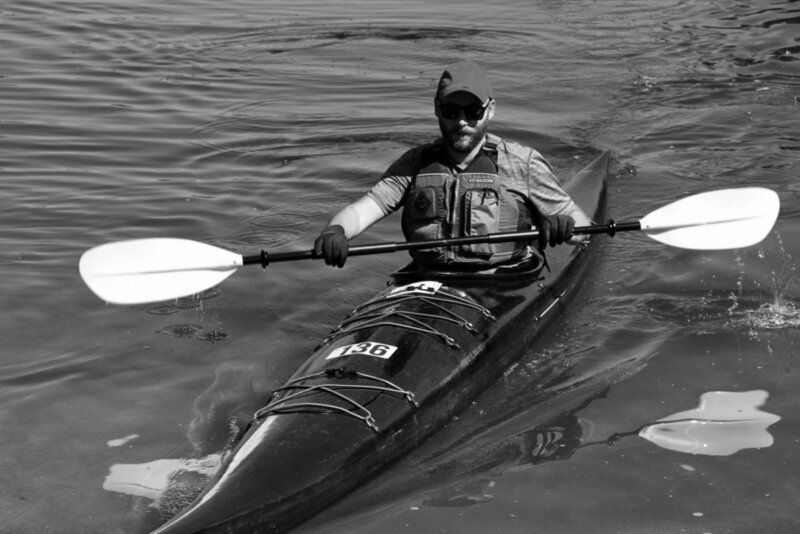 This was one of the first projects for which I was charged with the task of designing and producing the graphics. It was a great honor to have a hand in telling the story of the first black Army officers and the pioneering Women’s Army Auxiliary Corps. 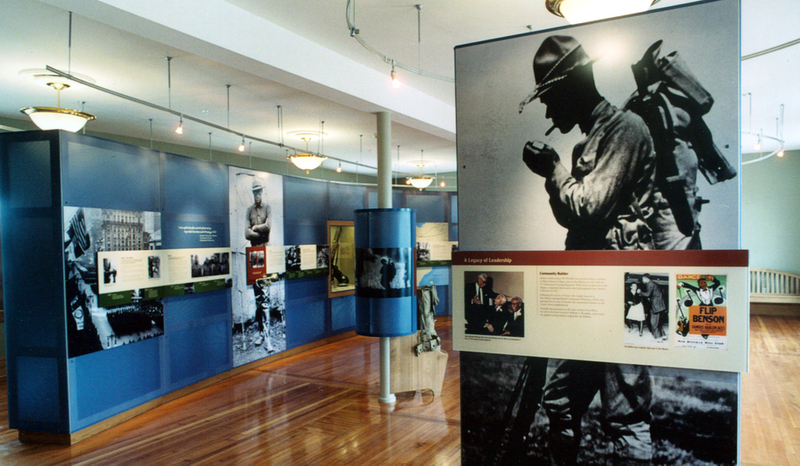 The finished exhibit strikes balance between a memorial and an interactive/educational exhibit. 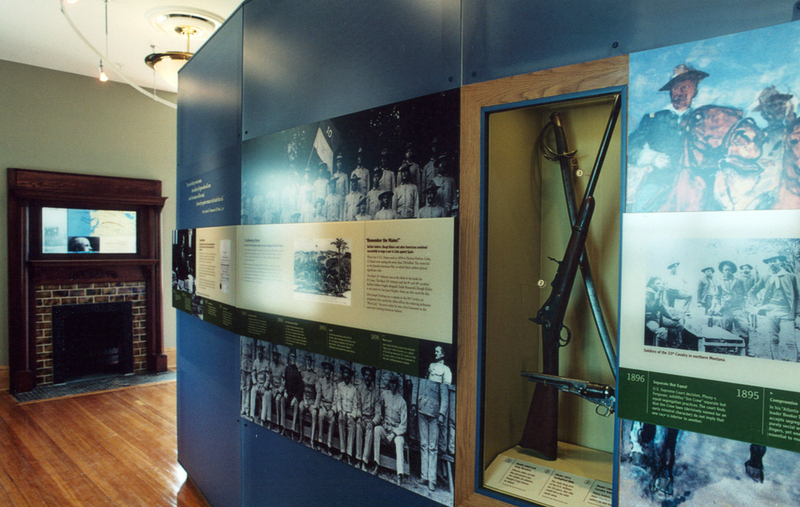 An introductory graphic, above, locates the visitor, explains the purpose of the museum and invites further exploration. 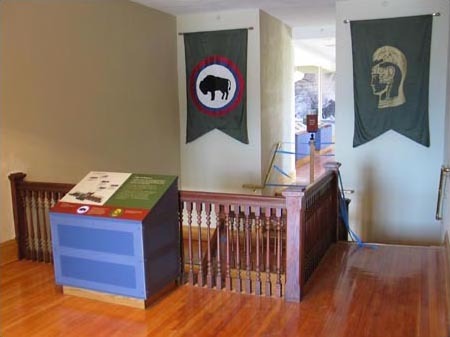 This artifact case and this mural act as a transition between the Interwar Gallery and the WWII Gallery. 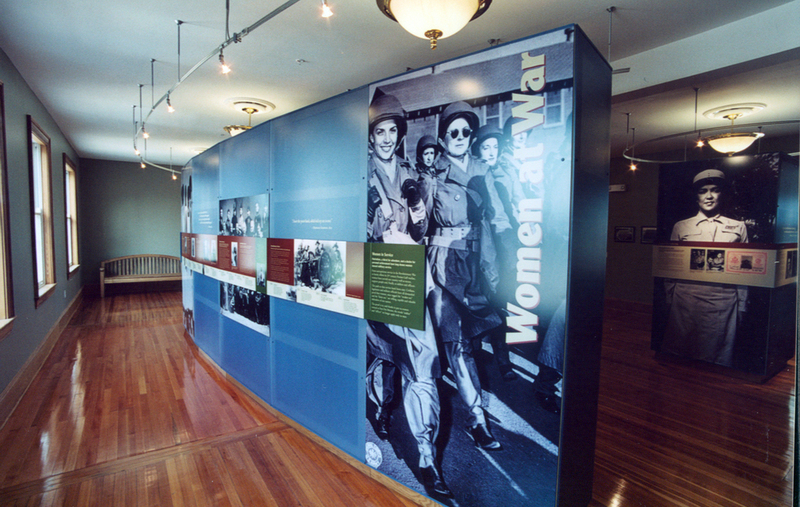 The WWII Gallery focuses on the contributions of the Women’s Army Auxiliary Corps. 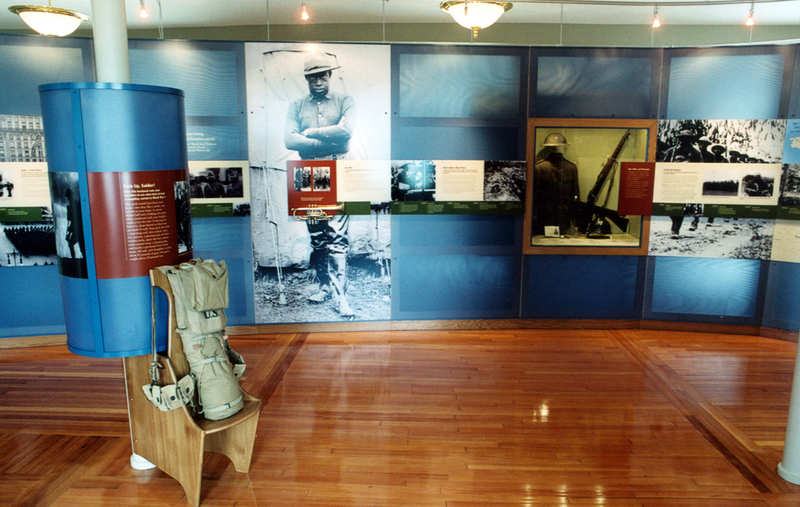 This audio-visual exhibit speaks to the experience of WAAC enlistees. 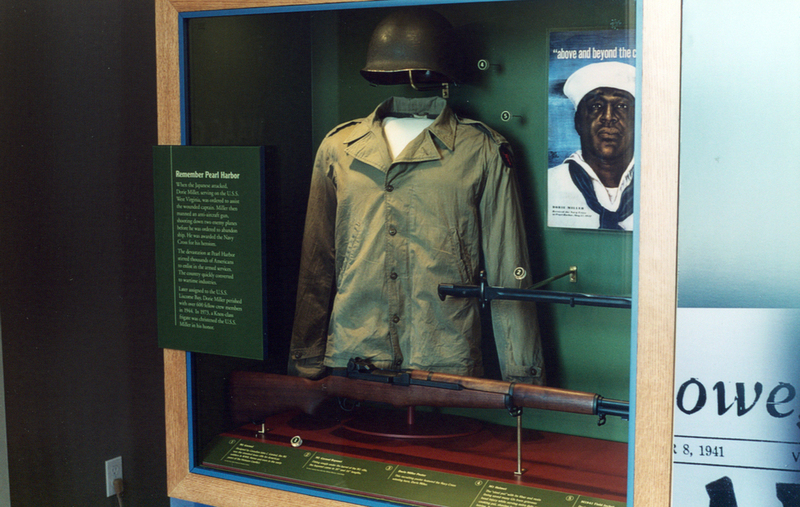 African-American officers influenced, and were influenced by, the French musical culture. 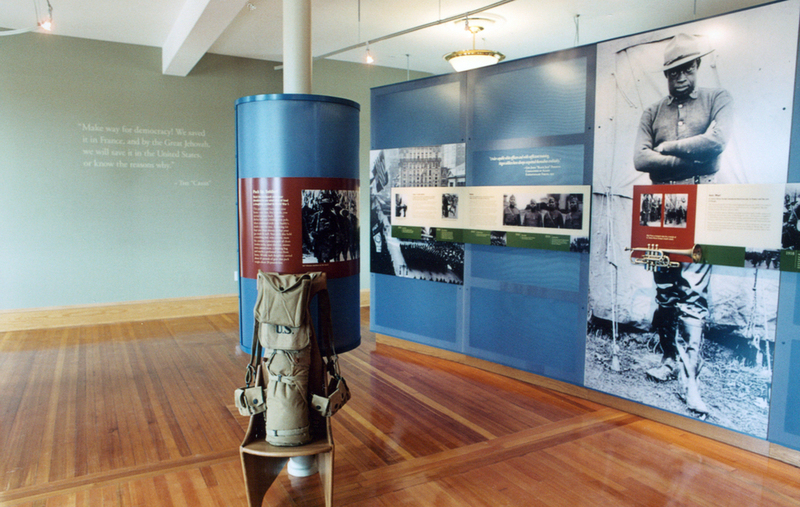 This interactive exhibit, above, plays samples of compositions created by officers who spent time in France during WWI.